Last night was a great night for a rez day and it was a great night for Straton Tigerpaw. Luci organized the party but couldn’t make it because it was a school night for her. But the party was at the Still (that’s Dreamcatchers Distillery for those who don’t know) and the bluesy folks poured in. 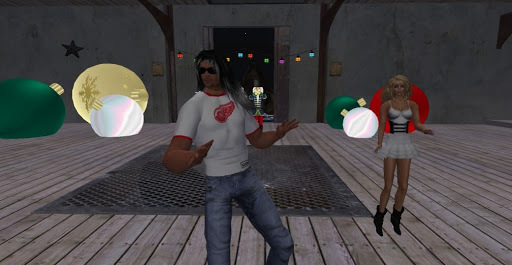 DJ Ali Heron played some rock’n blues’n rock. Here’s a couple photos to commemorate the day. That’s Strat in his usual spot dancing and carrying on! There was a large crowd. That’s Tak & me on the left, Kizzy & Kenn on the right. 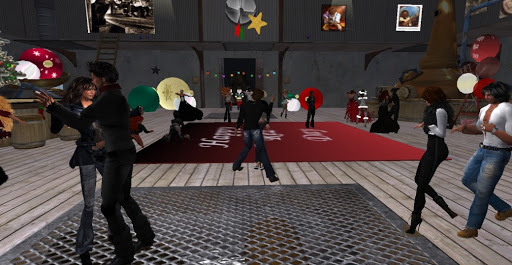 This entry was posted in Journal and tagged Parties, Second Life. Bookmark the permalink.